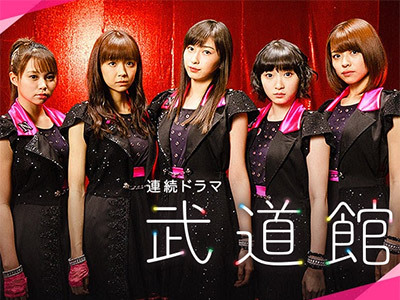 Based on a popular novel of the same title by Ryo Asai, BUDOKAN (tentative) is an upbeat touching story that revolves around a fictional idol unit NEXT YOU struggling for a break in the industry and striving to perform at the famous Nippon Budokan&#8211; one of the most revered concert venues in Japan reserved only for the best performers. The story will cover various topics surrounding idol's career such as scandals, inner conflicts, romance, etc., giving a realistic glimpse to the idol world. A Japanese pop group under Hello! Project Juice=Juice will be acting as the members in NEXT YOU; while Tsunku��, the former producer of Hello! Project, will be composing the songs as well as producing the images of the costumes and choreography of NEXT YOU.�@During the actual broadcast period of the drama, Juice=Juice holds live concerts and handshaking events and make TV appearance as the fictional group NEXT YOU, so fans can actually meet the members in real life! Will the girls of NEXT YOU be able to eventually build up fame and shine on the grandest stage of Budoukan? Watch the show to follow their story as they pursue climb to idol-dom!